Foot anatomy, artwork. The muscle on the sole of the foot is the digiti minimiis, which extends the fifth (little) toe. On the top of the foot is the extensor digitorum brevis muscle, which acts to extend the first four toes. At right is the calcaneus (heel) bone. At upper right is the fibula (lower leg bone). To its right are the soleus and gastrocnemius calf muscles. Attached to the gastrocnemius muscle and the calcaneus bone is the Achilles tendon (white). 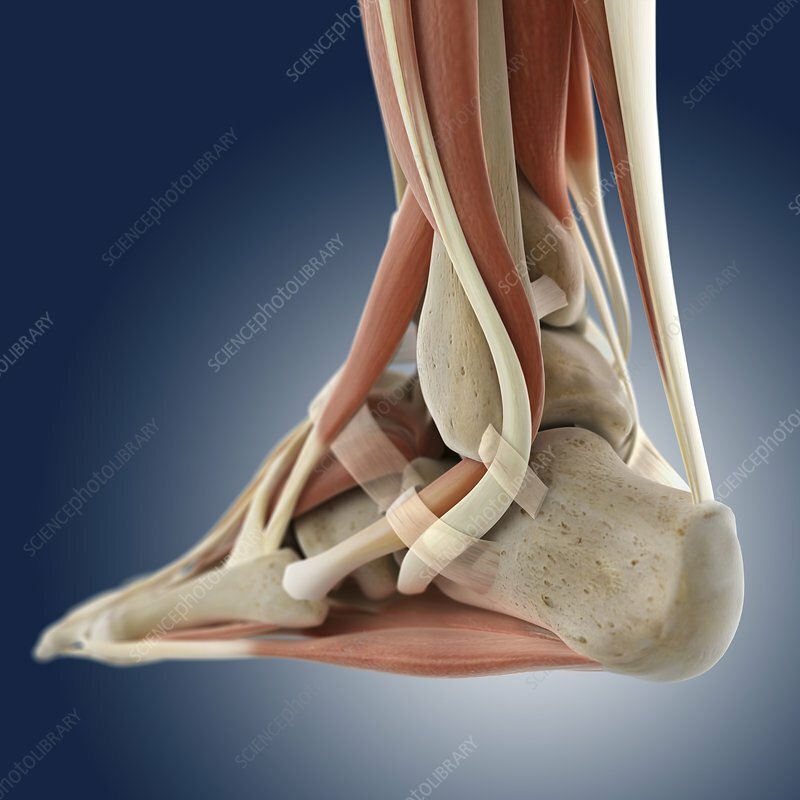 The Achilles tendon is the largest and strongest tendon in the human body, it connects the heel bone to the calf muscles.